WalknTalk’s Infinity Pad Swivels on a Pin and is Refillable. Tired of the traditional notebook? 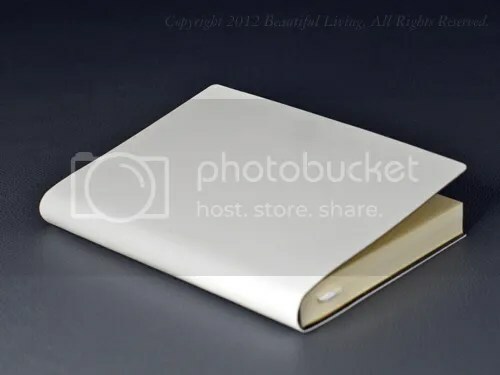 If so, check out this innovative notebook design by WalknTalk, the Infinity Pad. 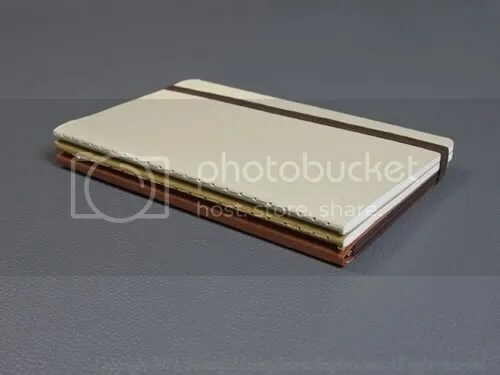 Rather than opening on the long side with a typical binding, the Infinity Pad cover pages spin on a post mounted on the short side of the journal giving this journal a completely different feel than what you are used to. 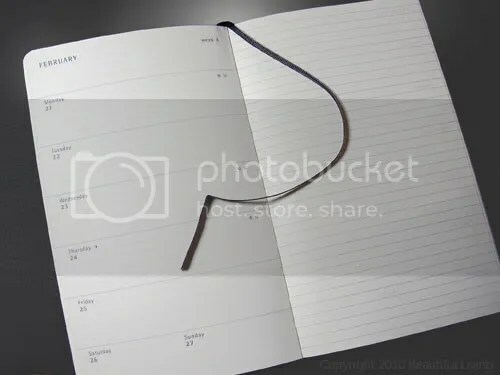 You have quick access to your pages by using a simple turning motion and is functional for both left and right handers. Rather than opening flat to a two-page spread, this journal spins flat to a single page. The Infinity Pad Spirals Open and Can be Used by Left and Right-handers. 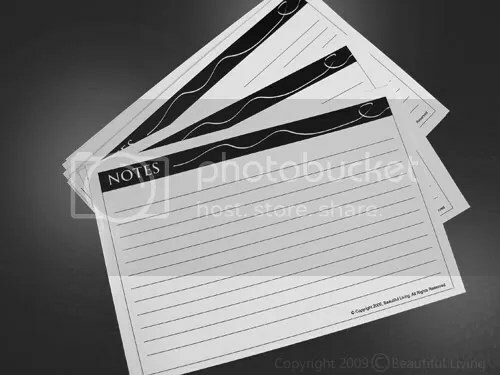 The pages are refillable with either plain or a musicians paper. The paper is an eco-friendly, unlined cardstock which is very thick and handled my basic pen test better than anything I have tested to date. Even permanent markers performed well and did NOT bleed through the backside. 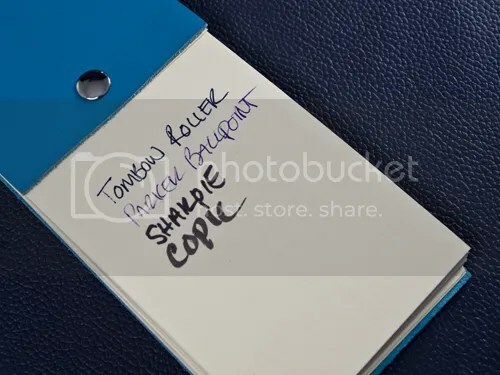 Yes, that’s right, my Copic and Sharpie markers did NOT bleed through so you will likely be able to use both sides of this paper with just about any pen you choose. 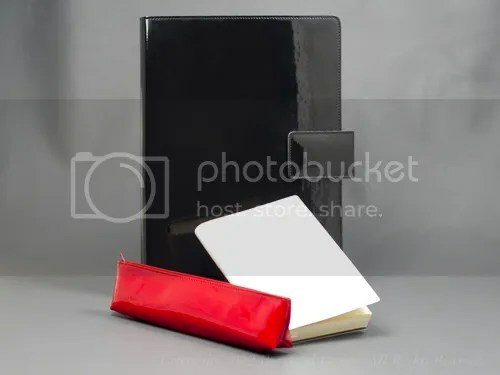 Since the ivory pages twirl rather than open like a standard notebook, the most convenient way to write on the backside of the paper is to do so after you have filled up the front pages, flip the journal over and start using the back side of the pages. 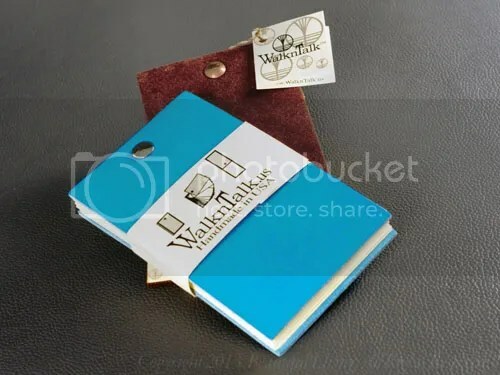 Once you are finished with your pad, you can order refills for just $4.50 at Walkntalk.com. The Musician’s Edition has 2 staves per page on one side and can also be used as a ruled pad if needed. The Infinity Pad utilizes high grade materials that are sure to please even the pickiest journalers. The leather used on these journals is thick and luxurious and it smells wonderful. The texture is smooth on the outside and suede on the inside. The richly-colored covers seem like they will hold up well to the twisting and turning you will be doing. The cardstock pages have just the right amount of tooth and seem to handle just about anything. The 3″ x 5″ pads fit easily into the back pocket of your jeans, pants and into some shirt pockets. 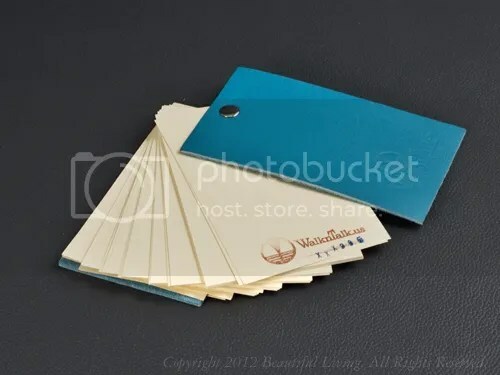 A 5″ x 7″ size is also available for those of you who need more space. 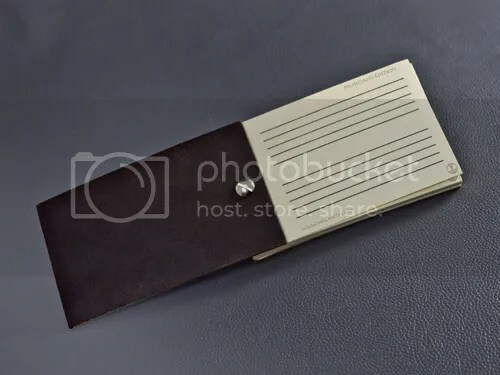 There is even a Musicians version of the infinity pad which has 2 staves per page, but you could also use this as a ruled version if you need lines. The Infinity Pads are available in a variety of luscious colors at WalknTalk.com. The thick cardstock pages handled my inks with ease. Even the permanent Copic and Sharpie markers did not bleed through the backside. If you are looking for a beautiful pen to compliment your Moleskine notebooks or planners, check these out. 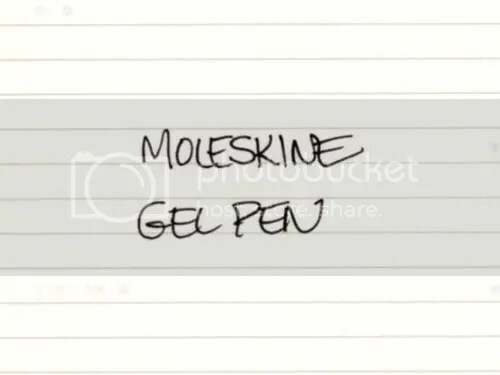 Moleskine’s new roller pens are designed specifically for use with Moleskine paper and the design is great, too. 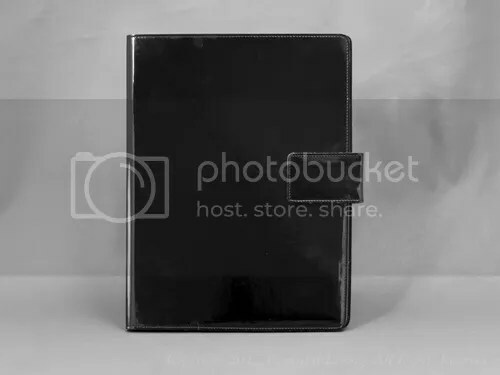 The unique clip is designed to be slid onto your notebook cover from the side or top, even when the notebook is closed. The low profile and flat design prevents roll and helps keep it in place. 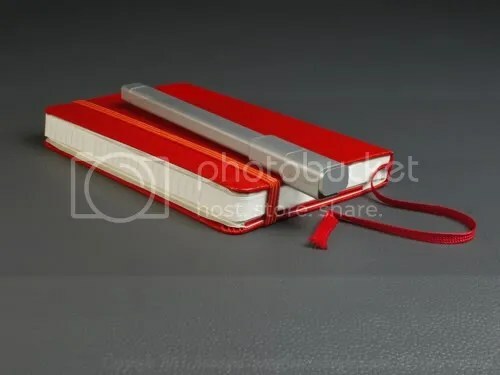 The unique design of the clip enables you to slide the pen on from both the side and top of the notebook. It stays firmly attached to the pen to keep your pen secure. I was a bit skeptical about the comfort of these pens when I realized that the shape is rectangular rather than round, but after using one for a while, I can confirm that it is comfortable. The rectangular shape stays put in my hand better than a round barreled pen which keeps my grip relaxed. Round barreled pens tend to creep on me, which encourages me to grip too tightly. The ink scribes a smooth, even line with no feathering or bleedthrough. The ink is smooth and dries quickly. 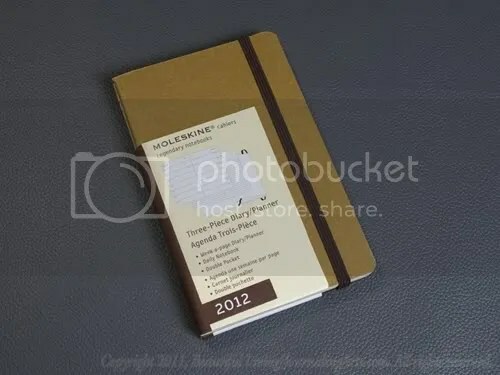 So far, I have had great success using it with the paper in my Moleskine journals and even the thinner paper in the planners, no bleedthrough or feathering. The gel ink is nice and black, reminding me a little bit of a rollerball line. 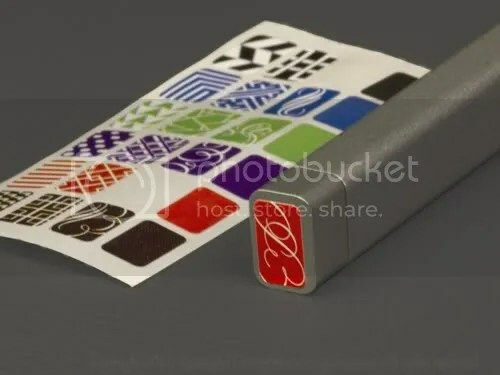 Colorful stickers are included with both pens and can be used to customize your pen or indicate ink color. 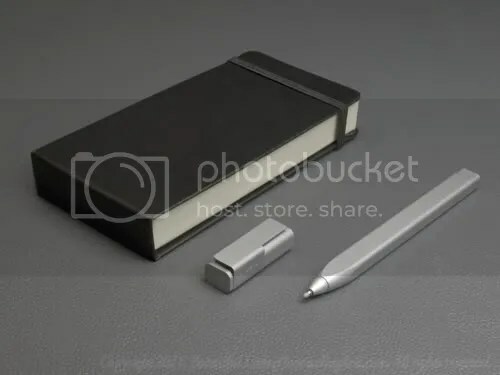 The pen clip attaches firmly and can be slid onto your notebook from the top or side. 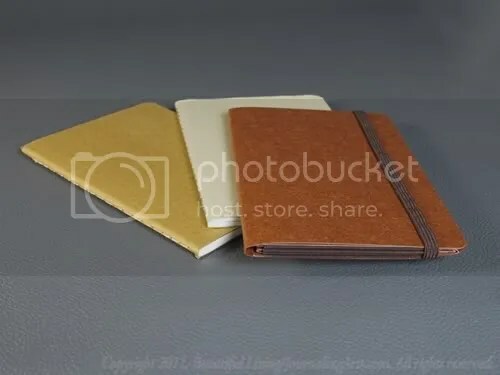 It works best with Moleskine’s hard cover journals since the cover thickness matches the notch in the cap. 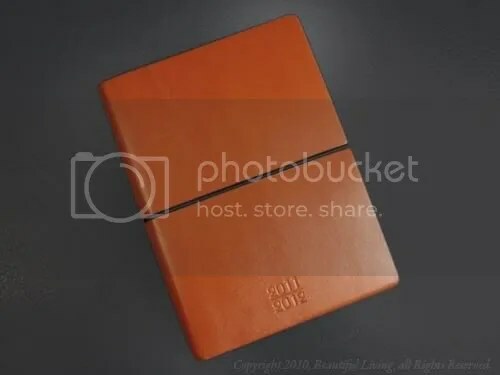 You can use it with the soft cover notebooks but you will need to clip onto both paper and cover since the soft cover is too thin to hold the pen in place. 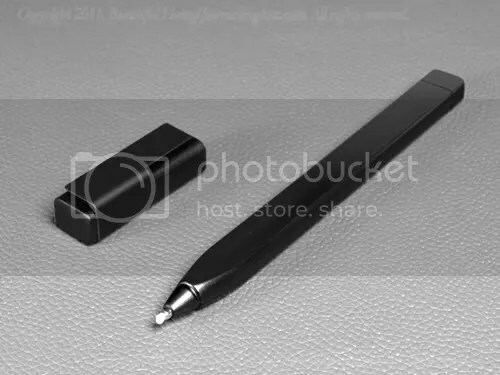 The matte-black, abs plastic finish makes for a sleek pen that is very light weight. There are two finishes to choose from, satin steel and matte-black, abs plastic. 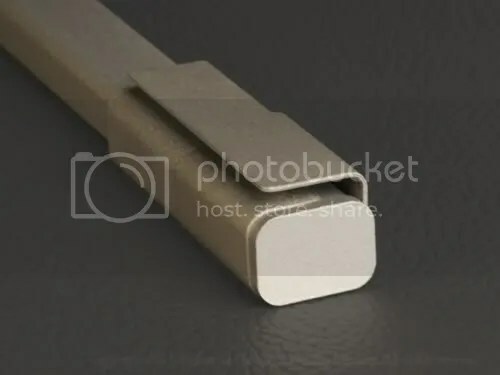 The satin steel pen is all metal construction and is substantially heavier than its black sibling. As a premium product, it comes packaged in a Moleskine style gift box and retails for $50. The matte black pen is extremely lightweight and comes packaged in standard hang-tag packaging and retails for $15. Both pens are refillable using Moleskine gel refills. 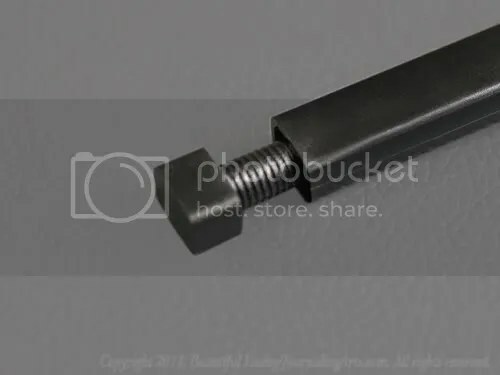 To refill, just unscrew the bottom of the pen, remove the old refil and replace it. 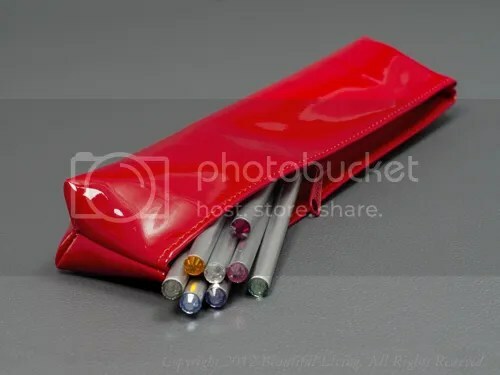 Both pens are refillable using Moleskine gel refills and are available in .5 and .7 point sizes and Black, Brilliant Blue, Bright Green, Bright Red, Dark Brown, and Deep Violet ink colors. Moleskine's new Limited Edition Peanuts Planners are available in both weekly and daily formats and large and small sizes. 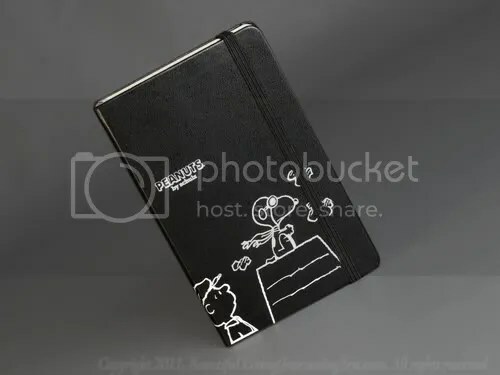 Moleskine has many new items for 2012 and some of my favorites are the new Limited Edition Peanuts Planners. Crisp white illustrations silk-screened on the covers infuse light-hearted artwork by Charles Schultz while maintain Moleskine’s minimal style. The illustrations continue on the inside of the planner’s covers including the address book. The daily planners feature an illustration of Snoopy piloting his doghouse. 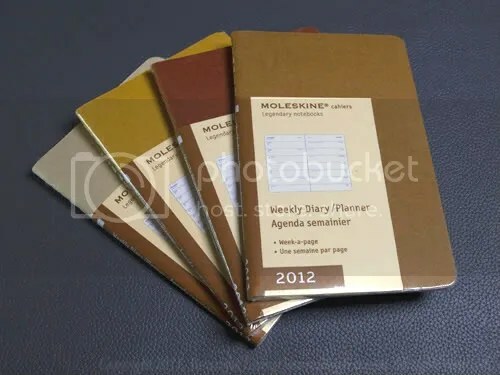 Daily and weekly planning formats are available in both large and small sizes. 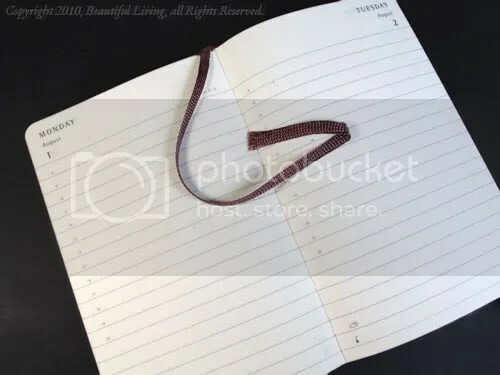 The daily planners feature a one-page-per-day planning format. 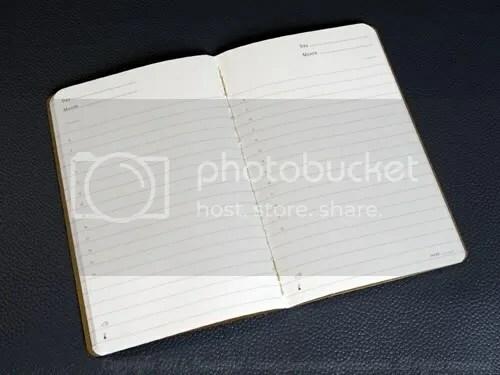 The weekly planners have the week-to-view on the left page and a full ruled page for notes on the right. 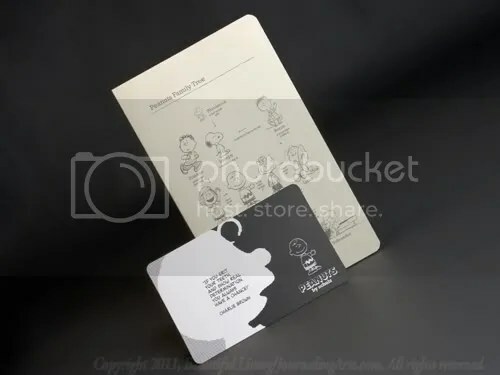 A limited-edition postcard and address book are included in each Peanuts planner. 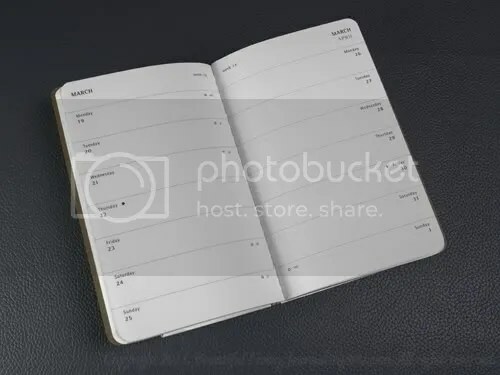 Daily planners feature one-page-per-day planning. 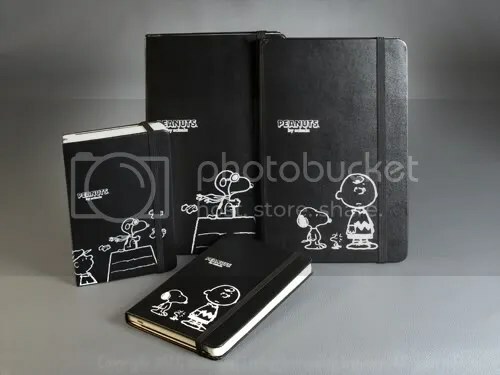 Peanuts fans can find these planners and more at JournalingArts.com.